Need help fellas. as you may have noticed, my kit looks absurd with all those mic stands and it is for this reason that i embark on a new quest for Microphone Drum Rim Clips/Mounts. I've tried Perfect Pitch park square/megamall, JB park square/megamall, Audiphile makati cinema square...lahat wala. If i'll buy naman here in uk, it will cost me 500pesos per piece and sa ebay uk naman 1500pesos for a set of 4. ang mahal noh?! in this regard, i hope you guys would be able to help me source this in Manila. I need about 6-8 pieces. Please let me know where I can get them and how much. Thank you so much. meron nyan sa audiophile. ibang brand lang. yung samson. try lazer, they have their own version too. I saw them at audiophile in festival mall in alabang. those holders are from CAD microphones. unfortunately, there's no dealer here that carries that brand as far as i know. meron nyan sa audiophile. ibang brand lang. yung samson. any idea magkano itong mga clips nato? thanks bro, will go check it out, i hope meron pa. Anyone knows where I can get stainless steel tension rods? Don't forget to bring a sample coz they have various sizes/lengths. should be around 20 to 30 pesos a piece. 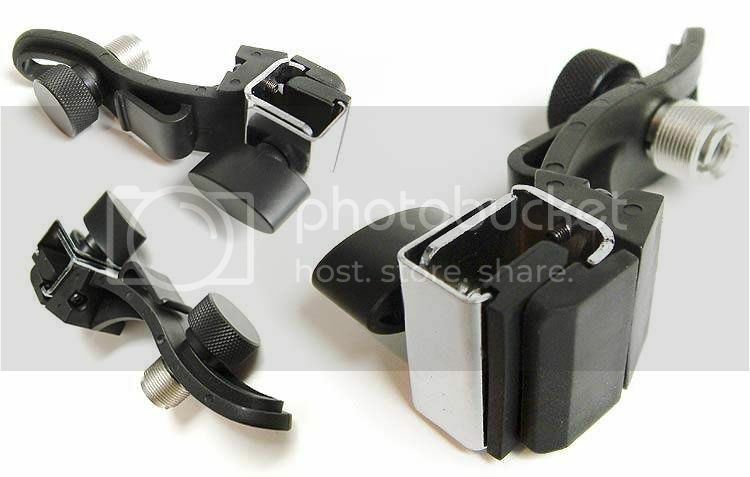 the ones form LAZER are not ss steel..
san makakbili ng mumurahing Drum Mic Clips ? lazer mic clips ata is 250 a piece...appears to be very plasticy, unstable, and big na baka tamaan ng sticks yung mic, this is accordin to my bro who checked it out for me. 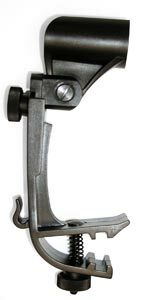 try audiophile, bought mine last week from em care of fellow forumer tarkuz_tocata, a pack of 3 samson mic clips cost 950. i hope they've restocked na kasi he said i got the remainin 2 packs. nice... thanks sir bangbus.. pero teka sir bangbus akala ko nasa UK ka ? kelan ka pa dito sa pinas ? at dun sa kit mo ? pansin ko lang ano yung parang mixer sa likod mo ? yep still here, i just ask favours from people i can depend on to help me sort out some stuff over there. ah the mixer is a 12-channel powered one that i use to mic up and project my kit as if i were in a gig...thats one area of drumming that i have actually begun to explore lately. nice mic clips bro bangbus..
i have a couple of packs myself though i rarely use them coz i just taped my mics (neatly) onto my old cymbals stands para mas stable pag recording. 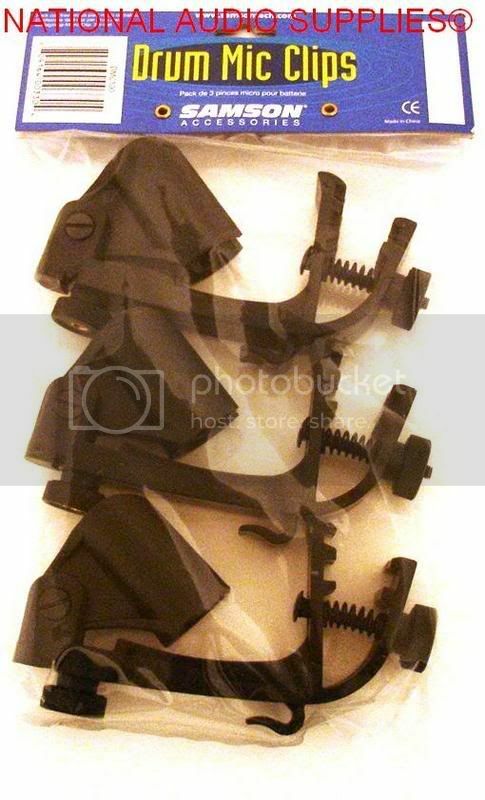 if i can find my samson mic clips, would you be interested in buying them sir bugoy? lazer clips are kind of weird in a way because they really use CLIPS to hold the mic, isntead of your regular cylindrical plastic mic holder (or whatever it is officially called). so there's the danger of of falling drum mics. not good. plus it also comes in goose neck config, which doesnt always stay in place. not good, once again because drum micing is a precise art. also, in the past i used my gibraltar rack as mic stands. i went to a machine shop and had adaptors custom made so that the hole fits the cymbal stand screw, and the outside of the adaptor fits in the mic clip. saved me a couple of thousand bucks on stands then. ayy guys mgakano ung LP claw? 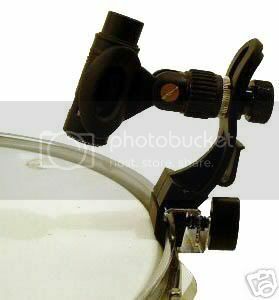 Re: Bass drum foot/stand, san nakakabili? 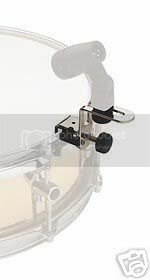 If your kick drum is a Pearl, there are Pearl bass drum spurs available at Yupangco/Perfect Pitch (contact JP). Check mo rin sa JB if the have spurs made by Gibraltar. O kaya check Lazer or other shops in places like Raon. Paano nilalagay? Just screw it to the bass drum shell. Re: Bass drum spurs, san nakakabili? Yung pic na na-post mo, yung nasa lower right, is that your actual bass drum? The way I understand it... It's either your spurs are the old-style ones (just like the one in your lower left pic), or may holes na drilled for a specific model/design of spur. 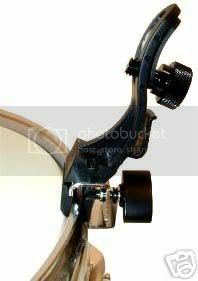 It would be more helpful if you can post a pic of your actual bass drum and its spurs. yung sa fernando ko ganyan.